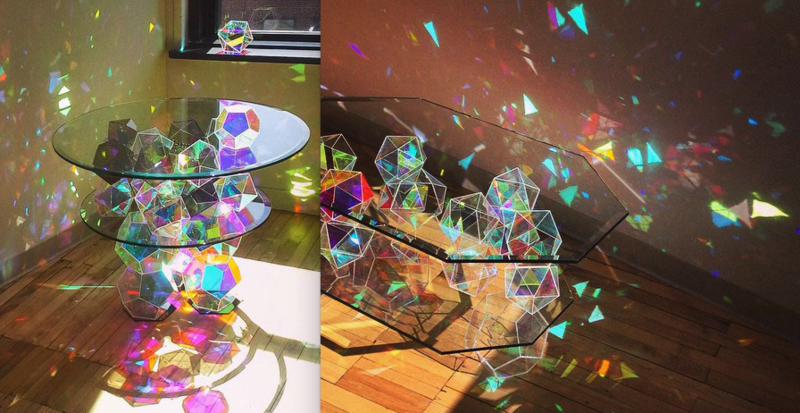 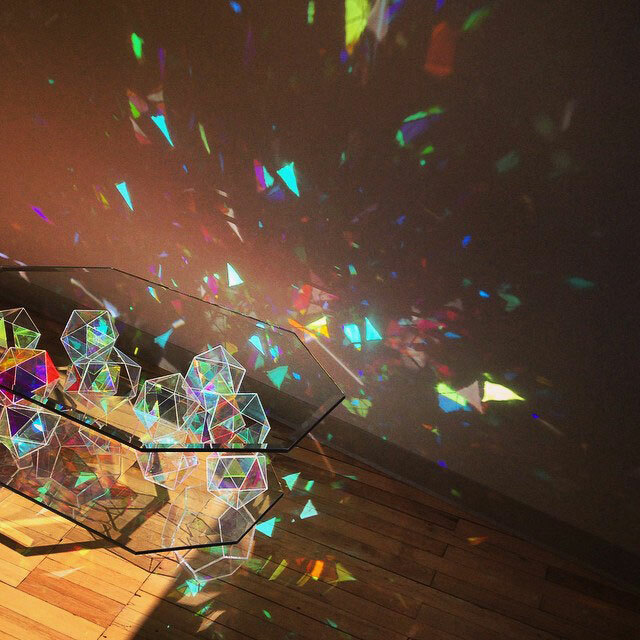 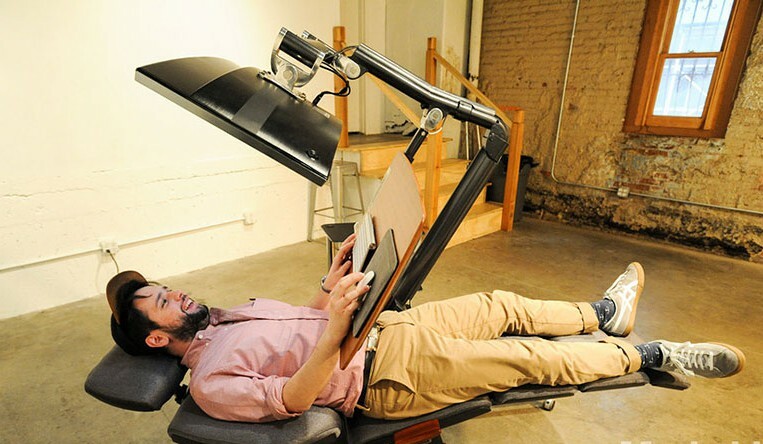 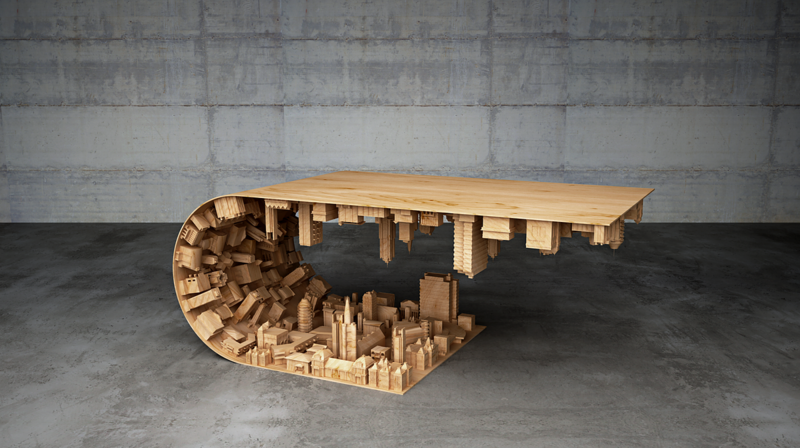 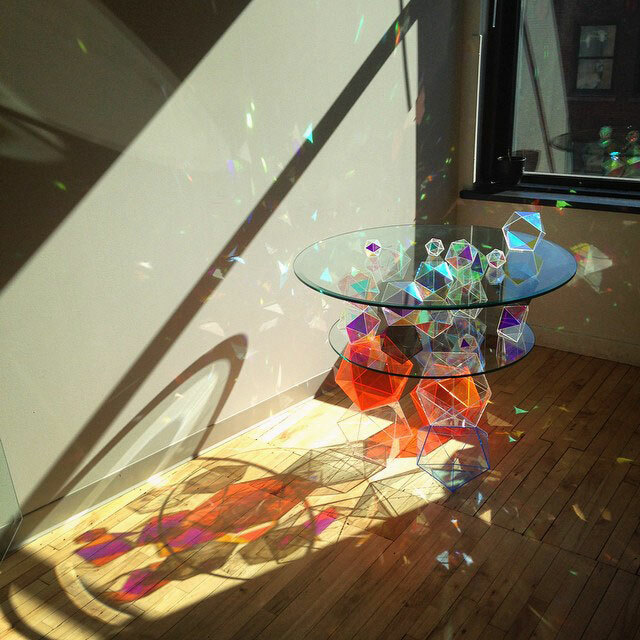 tables that reacts by sparkle when the sunlight passes through them. 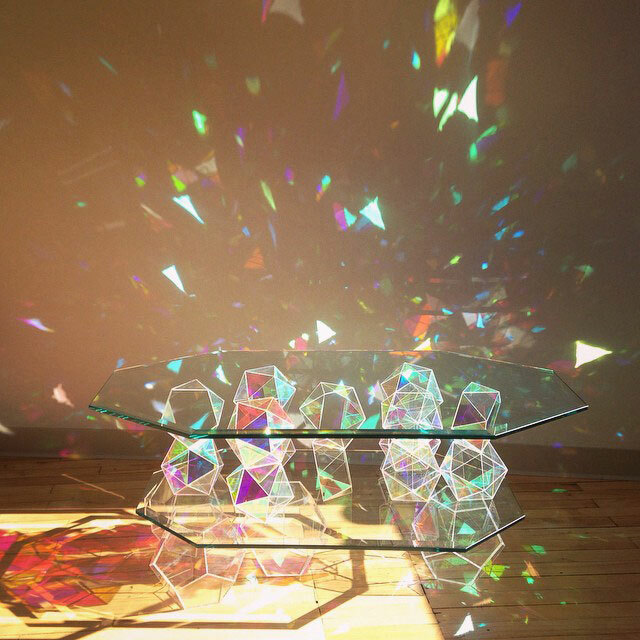 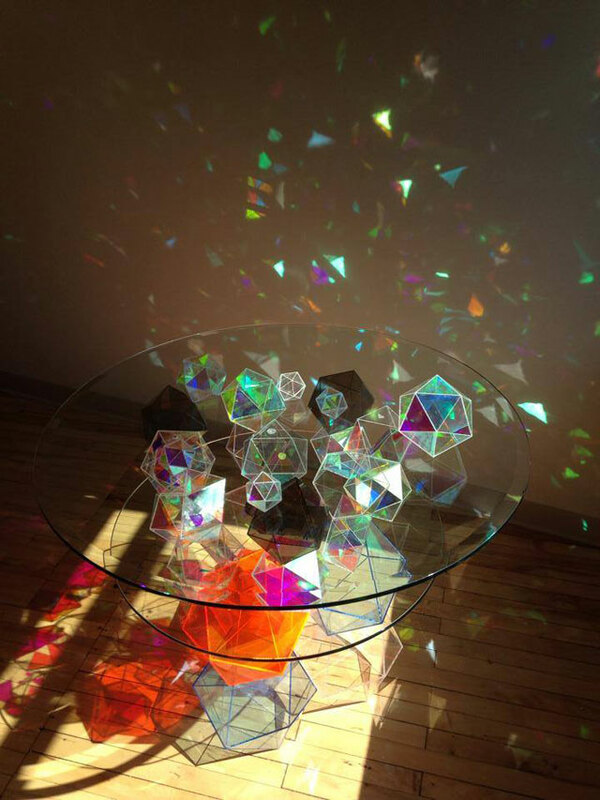 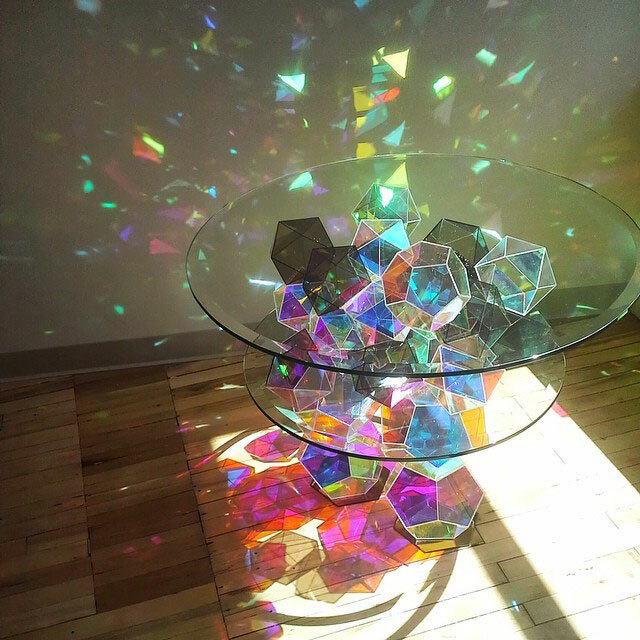 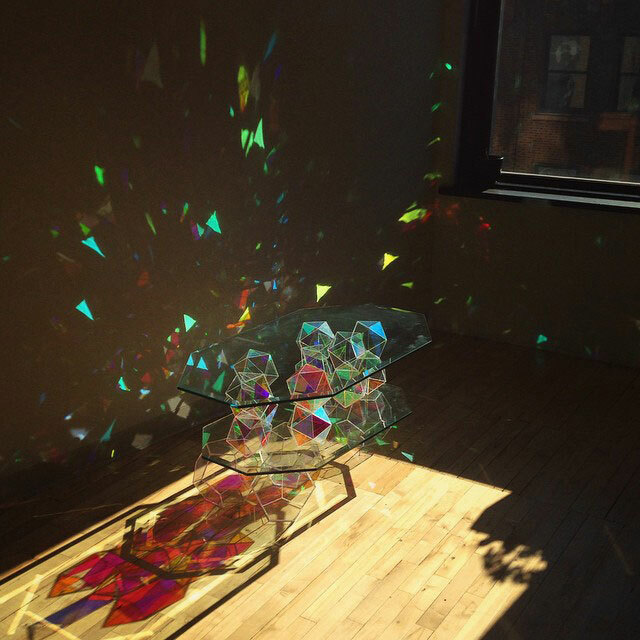 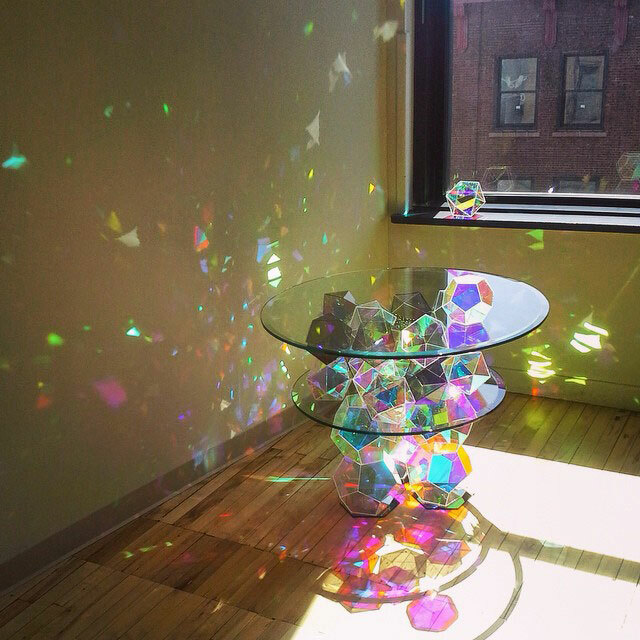 When this happens, the tables splits the sunlight into hundreds of rainbow reflections surrounding the room, creating an amazing visual effect. 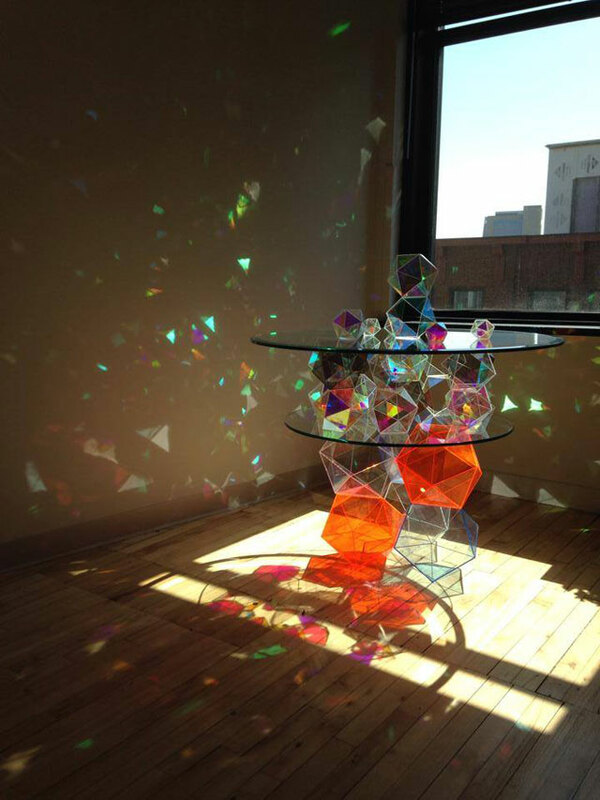 ”My work embraces a wide variety of formal and situational strategies, and employs a range of materials and techniques that include rubber casting, plastic fabrication, digital imaging, painting, and photography. 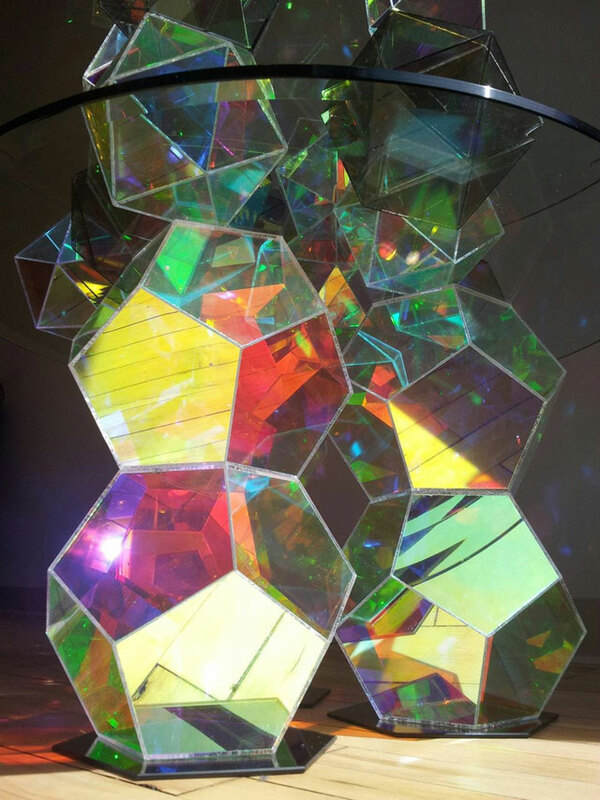 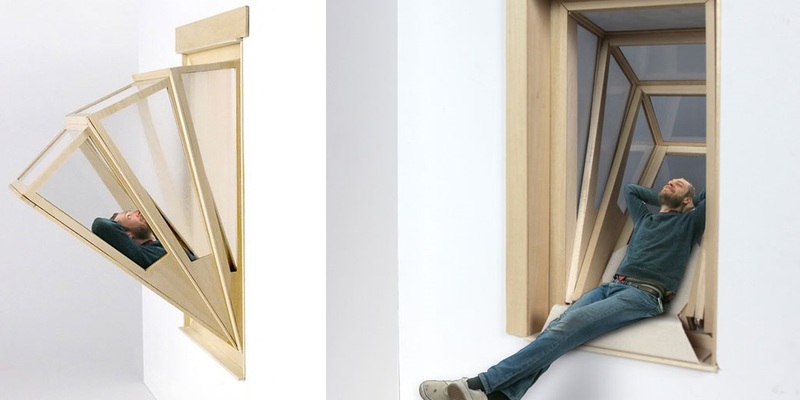 I create art that explores how we relate to objects and architecture, and am fascinated by the geometry of our universe, the forces that shape our minds, bodies, and experience.